The pass was not particularly good, with a maximum elevation of a bit more than 30º, as the figure below shows. The downlink signal was not very strong, ranging between 5dB and 12dB (S+N)/N during the pass. The satellite seemed to respond well to my 5W uplink signal whenever I keyed the radio, but hearing the downlink properly was a bit tricky and I was only partially successful. The WAV recording of the downlink can be downloaded from my Google drive. 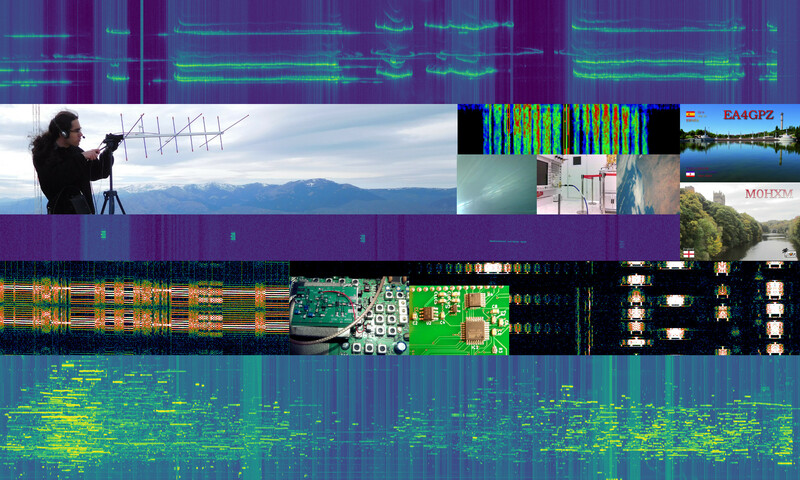 It is a 48kHz WAV file with the signal centred at around 12kHz, so it can be processed directly with gr-satellites. 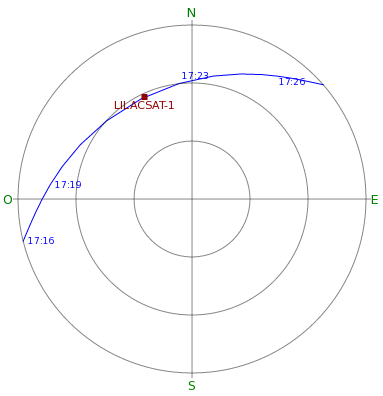 The Codec2 data recovered from the downlink is in lilacsat1.c2. This file can be processed with c2dec as show in this post. It produces roughly 3 minutes of audio that you can play below. Most of the time the audio is garbage, since my decoder always sends Codec2 frames whenever it receives a packet from LilacSat-1, even if the Codec2 frames in the packet are marked as invalid by the satellite. My voice is audible in several occasions. Below you can find the best excerpt of the audio. I’m pretty satisfied with the quality. Note that this experiment has been done after Wei BG2BHC reduced the audio gain of the satellite according to David Rowe VK5DGR tests and analysis. I have also decoded lots of telemetry (around 150 packets, some of them invalid) during this pass. I have put the decoded packets in this gist. 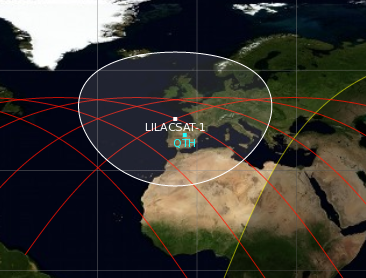 One interesting thing about the telemetry from LilacSat-1 is that some of the packets include the GPS position of the satellite. I have added a block to gr-satellites to dump this information to a file in KML format. Currently I’m only looking at the ADCS parameters packet from the OBC, which contains the latitude, longitude and altitude already processed. However, the GPS data could probably be derived from other telemetry packets as well. The GPS track can be seen in the map below. It seems that for some reason I didn’t receive any GPS packets during the first half of the pass.